My brainz are full of fog today so we are pulling a Flickr Time Machine post out of the hat. This photo was taken on this day in 2010. It is a photo of Mt. 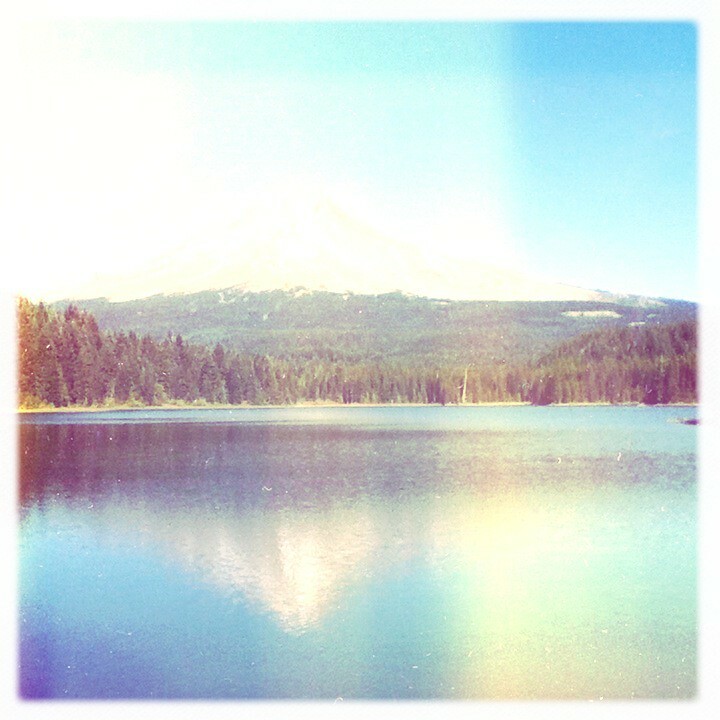 Hood reflected in Trillium Lake (one of my favorite places to photograph). I had just purchased the new iPod touch (the one with a camera) and was going a little nuts with Hipstamatic. I have since moved on to an iPhone but I have to admit, I loved using that iPod at the time. I loved that it was always there with me in my pocket. Way easier to carry than my big-old slr. Also: :looks at calendar and realizes: that TODAY is my three year anniversary of moving to Oregon!